I haven't given up my love of lace, even though I have the itch to learn new things. 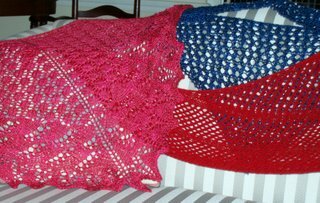 The pink is the Swallow Tail done in Big Sea Silk. 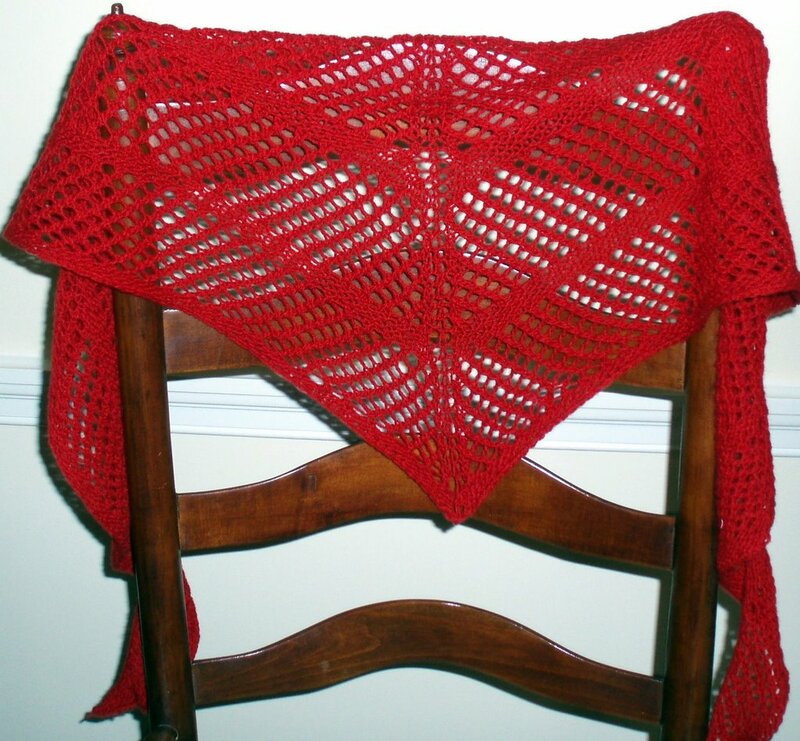 The red is the Shapely Shawl done in Colourmart cashmere. 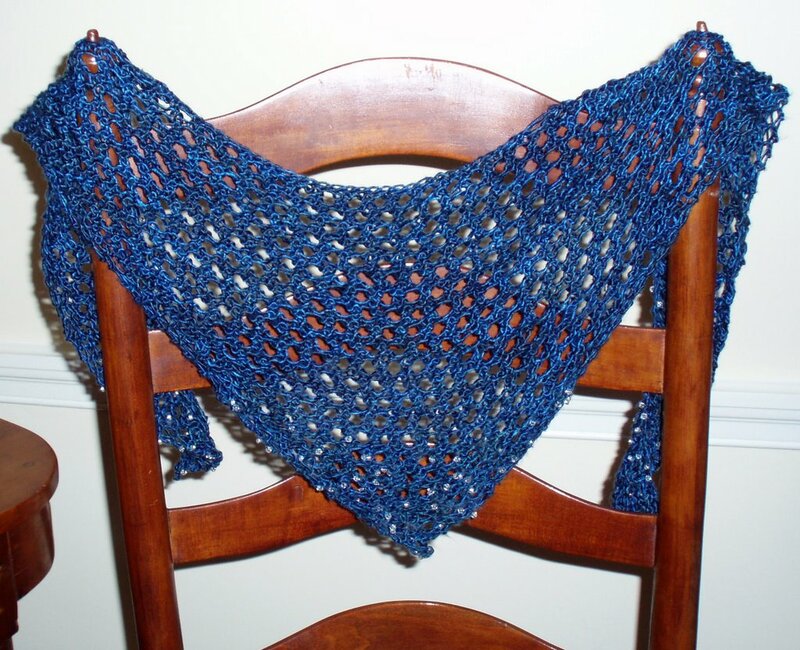 The blue is a version of a large neckerchief done in identical Tilli Thomas silk, one beaded, one plain. 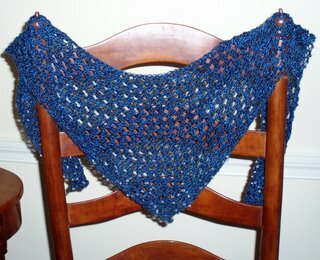 I'm currently working with another new yarn from Fleece Artist, called Sea Wool. It's merino sock yarn with just a little lyocell and sea weed. I started the Scotch Thistle lace stole from Heartstrings with it, but I'm not sure that it's really doing the pattern or the yarn justice. 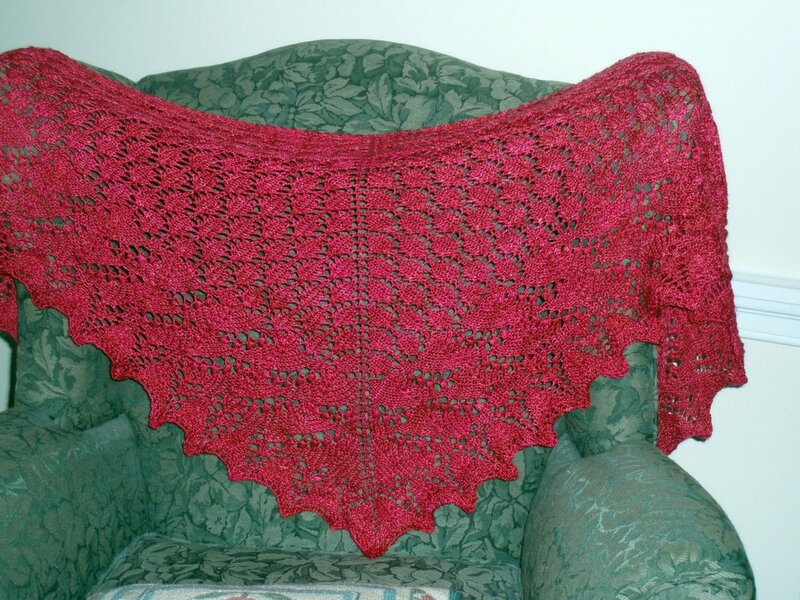 BTW, I have to say that the Scotch Thistle pattern is fun and easy with no provisional cast on. 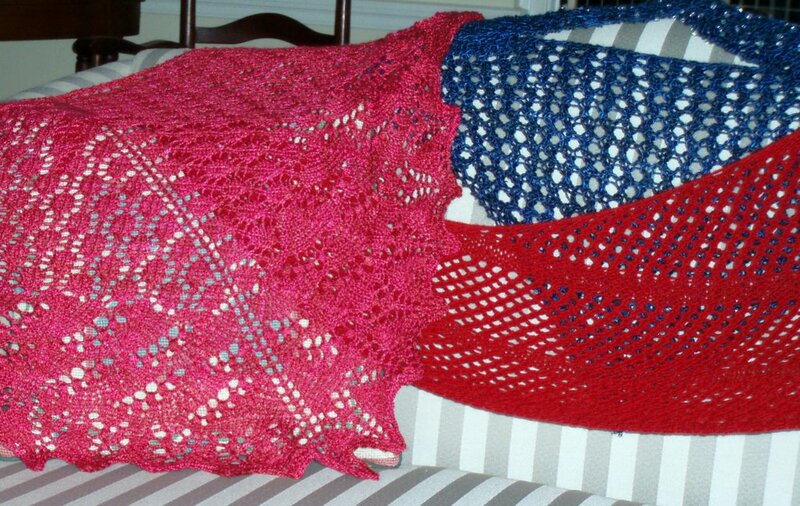 Very clever pattern that's not difficult and not so easy that you nod off before it's done. hmmm, the one you directed me to is not lace. It's the lace between the solid rows of your red one that is catching my attention, did you alter it? keep em coming doll, you do nice work. p.s. love love love the bunnies.